The game industry is not exactly known for valuing workers. Big studios are rife with soul-destroying crunch and end-of-project layoffs. French studio Motion Twin, developer of the Castlevania-inspired roguelike Dead Cells, is trying something different: Workers own and manage the company. There is no boss. Motion Twin describes itself as an “anarcho-syndical workers cooperative.” What this means in practical terms is that all of its 11 workers are, in theory, equal. Same pay, same say. It seems to be working. 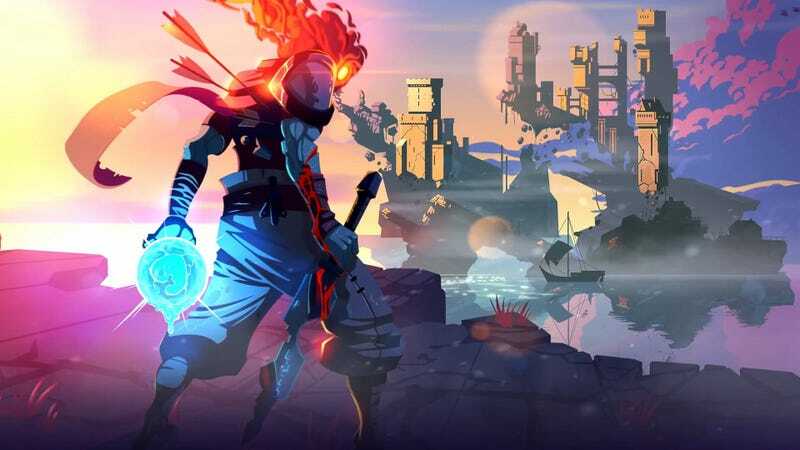 Motion Twin has been in business for nearly two decades, and the studio’s most recent game Dead Cells has sold more than 700,000 units on PC alone before even leaving early access. Motion Twin’s pay and ownership system, Bénard said, constitutes “a direct challenge, not just to the exploitative practices you see at a lot of other companies, but also to tired old world corporate structures in general.” Games are team projects, after all, and Bénard believes that it’s “almost impossible” for anybody to definitively declare that their particular contribution of blood, sweat, and tears had more of an impact than anybody else’s. Bénard would not disclose the exact salary everybody at Motion Twin brings home, but said it’s “roughly the same as in other game companies” before bonuses. As with other studios, the threat of burnout looms heavy at Motion Twin too, but it’s exacerbated by the burden of responsibility that everybody carries. “Because everyone is responsible for many things at Motion Twin, your brain usually keeps ‘working at Motion Twin’ when you come back home everyday,” said Bénard. There’s a caveat to all of this, though: Motion Twin is a relatively small studio. It’s ballooned up before, but under all the specific constraints of Motion Twin’s structure, the balloon went pop. He hopes, though, that if nothing else, Motion Twin’s mentality toward work in the gaming industry becomes the norm, rather than an exception, in the coming years.